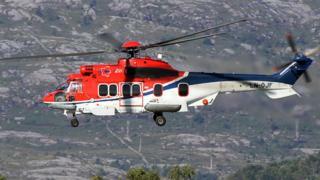 Further safety checks have been ordered on a fleet of helicopters following a fatal crash off Norway last year. Iain Stuart 41, from Laurencekirk, Aberdeenshire, was one of 13 people who died in the crash. The European Aviation Safety Authority (Easa) has asked operators of EC225 and L2 aircraft to carry out one-off inspections of the gearbox. An investigation into what caused the crash is being held. An interim report from the Air Accident Investigation Board Norway said the most likely cause was a fatigue fracture within the helicopter gearbox which resulted in the main rotor becoming detached.